For over five decades, FireKing has been providing high-quality products designed to protect your company’s vital assets. FireKing brand fireproof files began production in 1951, and since then, through a series of strategic acquisitions, constant reinvestment in the business, and product diversification, FireKing Security Group has evolved from a manufacturer of fireproof Vital Records Protection (VRP) equipment into a broad-based security and asset protection company with a multitude of product and service offerings. Every product FireKing makes – for Vital Records Protection, secure cash-handling, or digital video surveillance is manufactured or created using the most innovative, advanced product development technology available. FireKing products are available in over 85 countries. 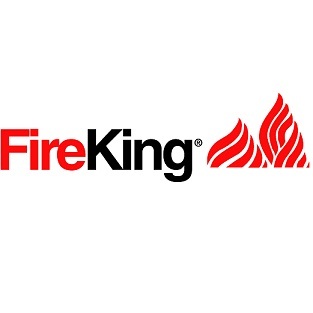 Today, with more than 450 employees nationwide and our dedicated service organization providing a superior nationwide direct service and support infrastructure, FireKing remains committed to meeting and exceeding the evolving needs of their expanding customer base. Purchasing office products from FireKing is about more than new furniture— it’s about a wise investment and your peace of mind. Nobody has to tell you that highly important, sometimes sensitive information gets stored in office storage cabinets and files. Yet, unfortunately, the fact is, successfully protecting this valuable data will take more than simply locks and keys. That’s why you need FireKing. FireKing products come in a wide range of styles and sizes, but what they all have in common is the ability to help you protect what matters. From fireproof filing cabinets to specialty safes, FireKing office products provide the protection that your important information needs. Don’t be surprised by a devastating fire, flood or other tragedy! By protecting your assets properly, you’ll be able to store them with confidence. FireKing is proud to offer a wide array of security-boosting office products: fireproof file cabinets, fireproof storage cabinets, fire- and water-resistant safes, record safes, fire and water chests, data safes, specialty safes and cash and key management tools. All of these office products are designed to help you store important information and objects in a way that keeps them insulated from harm. Whether it’s standard file cabinets or FireKing fireproof cabinets, we’ve got the right storage solution for your important documents.